Homemade Spaghetti sauce is SO amazing. Really. You can get the flavor exactly how you want to. Not only is it so flavorful and delicious, but it is super easy to throw together. 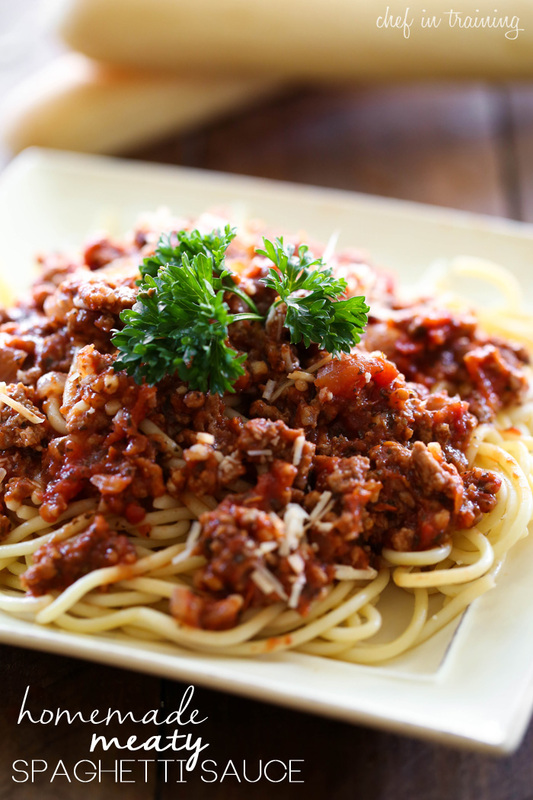 We love the addition of ground beef, it helps to make the spaghetti dinner feel more like a full meal. Give this recipe a try the next time spaghetti is on your menu! It is the perfect way to jazz and change things up! Once you try this recipe, it will be hard to pop open a jar again! This homemade spaghetti sauce is filling and delicious! Once you try homemade you won't want the jarred kind again! Brown ground beef in a large pot until cooked through and juices run clear. Drain then put back on stove top on medium heat. Add onion and garlic and sauté for 2 minutes. She is adorable!!!! That saucy face...Nikki, too cute! :) I bet she's grown up so much since then!! I love the picture of your daughter, Nikki. When my oldest son was little he was a slob as an eater and I had to put a big cloth down under his chair until he was about five years old! The spaghetti looks marvelous. My friend has spaghetti night outside on her porch with her little girl and twin boys. Makes clean up easier. Cute kid you have there. Love this and I'm gonna try it! I made this tonight, and it was absolutely delicious! My husband loved it! Made this for lunch today on Sunday. Loved it! Might cut a little of the sugar out next time but it was great the first time. This spaghetti sauce is bar none the BEST homemade spaghetti sauce I've ever made, & so simple! My husband is extremely picky when it comes to his spaghetti but one bite of tonights dinner & he was in love, proclaiming that I had finally found a winner. I followed the recipe to the tee w/ absolutely no changes & it was perfect. This is now my go to for all our pasta dinners - THANK YOU SO MUCH! Made this for my family tonight!!! It was a huge hit. Such a good sauce. The only change I made was I mixed ground beef with Italian sausage. Yum!!! Thanks!! I don't know if I have ever thanked you for sharing this recipe. It's probably one of my families top 10 dinners. I made this recipe recently and it was the best spaghetti I've ever had. I will never buy sauce in a jar again. Thanks for the recipe! Cute picture. I googled "homemade spaghetti sauce" and all I am finding in adding some ingredients to canned store bought tomatoes. I might as well save a bit of money and by a jar of ragu cheaper and just as good. 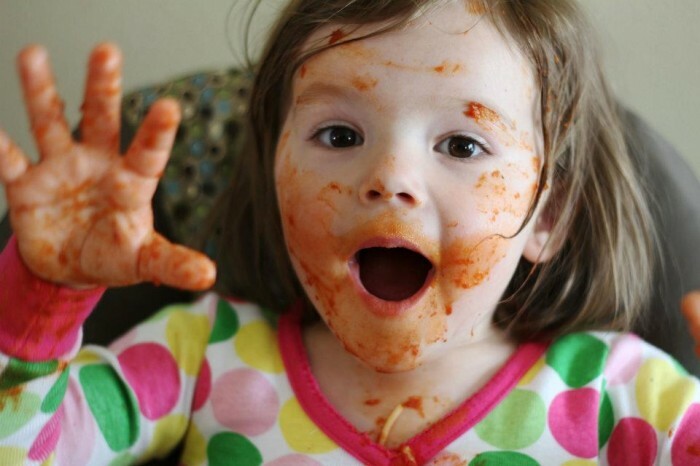 So now I'm off to find a recipe for HOMEMADE SPAGHETTI sauce. This stuff is delicious! I added bell pepper. I'll never buy jarred again! Thanks!! !